The Olde Tavern awaits your palette. It was the location of Northern Exposure. It was the home of the original Hickory Tavern. Bt Burger once inhabited the space. And until 2015, it was the infamous Lazy Dog. Now a new chapter has arrived: for you, the Patron. A familiar name that will help you remember, and great food and service you will not forget. Stating “we have the best wings in Hickory” is kind of a bold statement, isn’t it? But we believe it. Fried or grilled, our wings are second to none. Our sauces are our own: we made them. And we love it, and then pass our love of our wings on to you. We love the rest of our food, too. From our already-famous Buffalo Chicken wrap, to our succulent Pimento Burger, to our incredible Chicken Carbonara: We love it all! And we know you will, too. And it doesn’t stop with just our food. Oh no. We take just as much pride in our drink slection. From our own signature drinks, to our extensive list of beers, wine, specialty brews and more. Come hungry, come thirsty: We’ll take care of you. Don’t forget our catering services, either. We can cater any-sized event. And while our catering may appear to be set-up for certain dishes, like wings, grilled chicken, clubs sandwiches and burgers, we can cater anything from our Main Menu, too! Just give us a call one day in advance before your event: 828-322-3323. Book Your Party at the Olde Tavern! Bring your friends, invite your co-workers: we’ll take care of you! 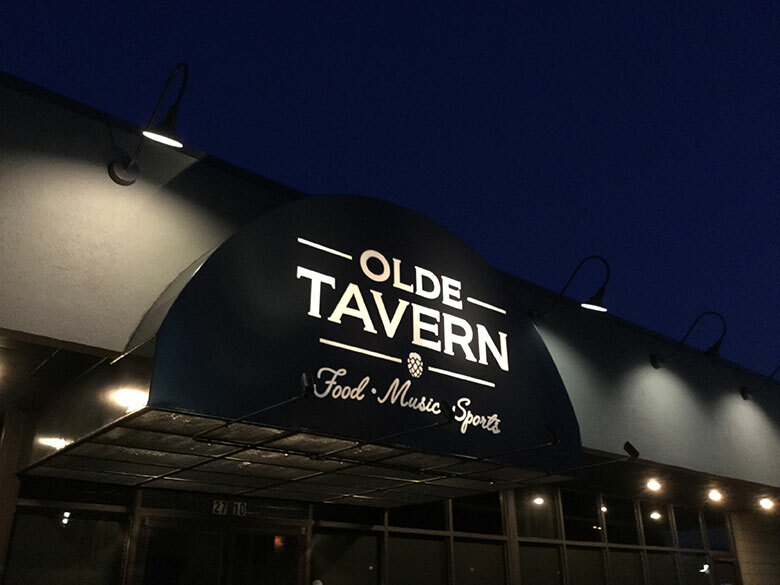 Book your party at the Olde Tavern for a night you and your friends won’t forget. Our goal is to be the most accommodating restaurant with the best food in Hickory. We want to be the place we ourselves want to come to when we’re not working. We are our own family, and we’re inviting you to be a part of it, too. © All material, product information and images contained within this site are property of the Olde Tavern of Hickory (formerly Lazy Dog), and may not be used without permission.